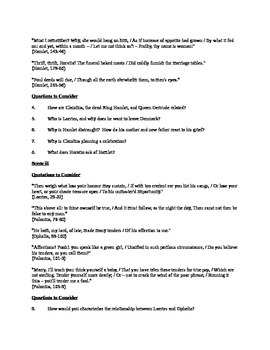 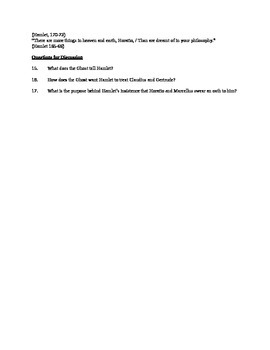 This handout is designed to stimulate discussion about Act I of William Shakespeare’s Hamlet. 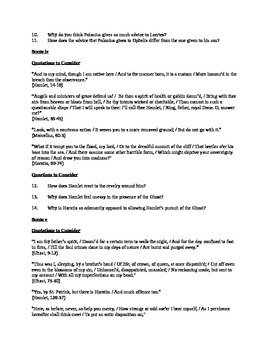 The Act is divided into scenes, with each scene containing quotations and questions for further study and reflection. 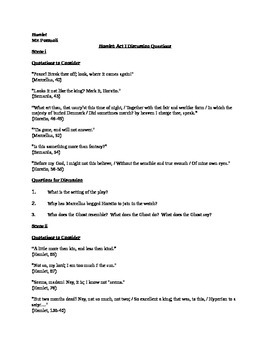 This activity would be an ideal companion for the play and should serve as adequate preparation for quizzes, tests, and essay assignments.